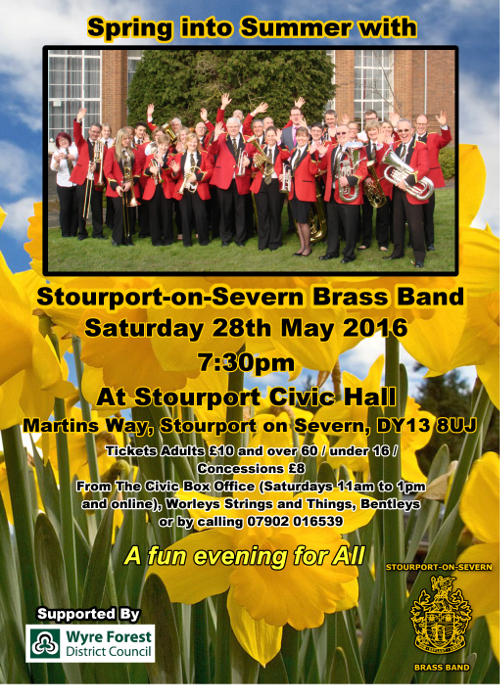 Stourport-on-Severn Brass Band – as seen on TV …. What a surprise when Stourport-on-Severn made a guest appearance on Central News yesterday!? 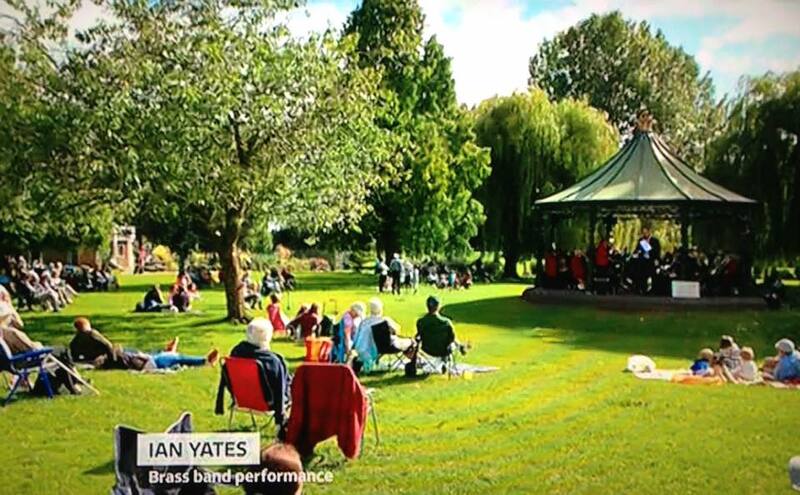 A viewer, Ian Yates, had sent a photograph of his enjoyable afternoon in the Sanders Park, Bromsgrove in the sunshine, enjoying the music of a brass band? …. which many of our players recognised as our performance in Bromsgrove from the previous day (Sunday 11th September).? It was a beautiful sunny day and we are delighted that our audience enjoyed our performance.? Thank you also to Ian Yates, for sending in the photograph. 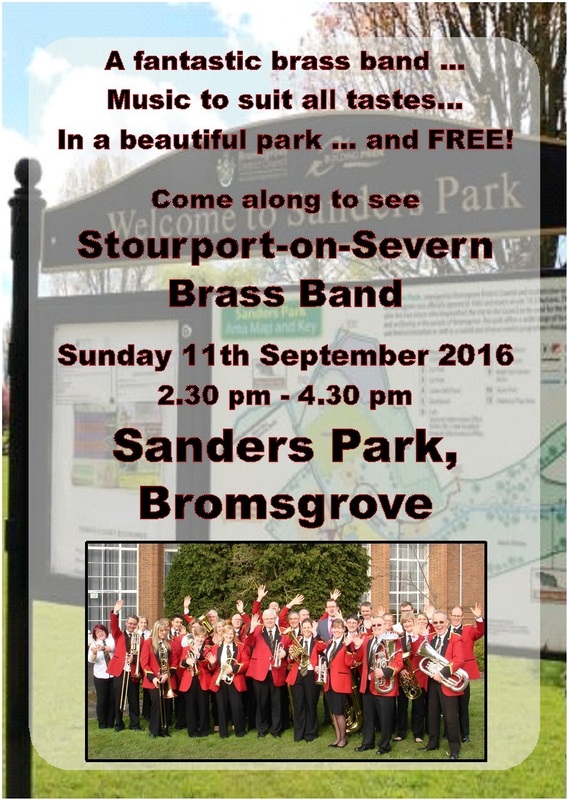 Stourport on Severn Brass Band will be appearing at Sanders Park on Sunday 11th September from 2.30pm to 4.30pm. Bring the family, a picnic and spend an enjoyable afternoon in the park with us. We’ve added some great new photos, audio and video to our gallery, why not take a look?? Just click on the Gallery link at the top of the page. 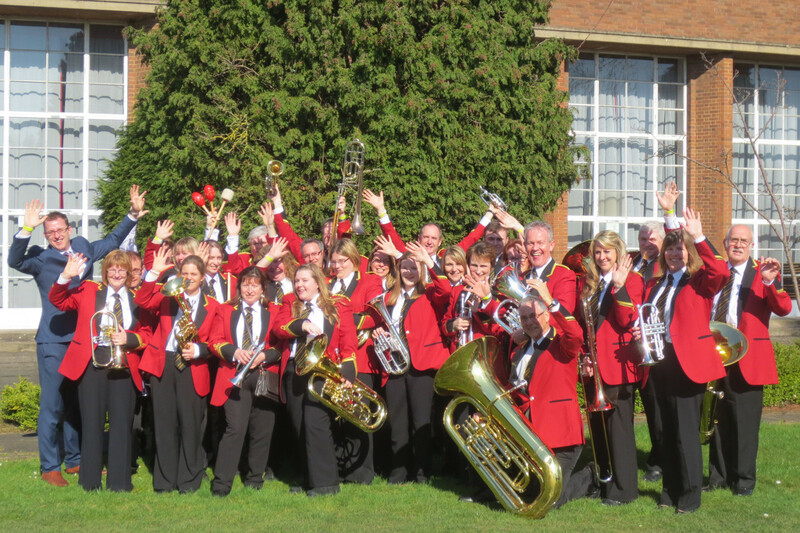 Our next concert is on Saturday 28th May at Stourport Civic Hall, tickets are ?10 for adults, ?8 for concessions and are available from The Civic box office (link below), Worleys Strings and Things, Bentleys or by calling 07902 016539. We’re off to the Nationals again! 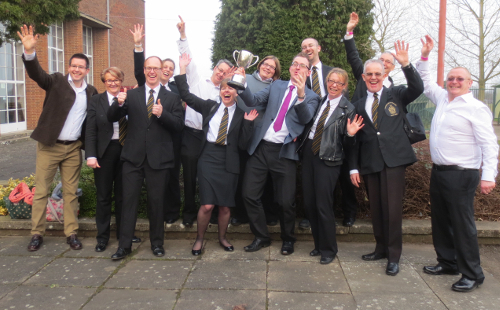 Our fantastic 2nd place in the 3rd Section of the Midlands Area Brass Band Championships in Bedworth on Saturday 12th March means that we will be representing the Midlands at the National Championships in September! The band has a policy whereby any brass or percussion player deemed to be of suitable standard by the Musical Director can join the band and perform at concerts*. 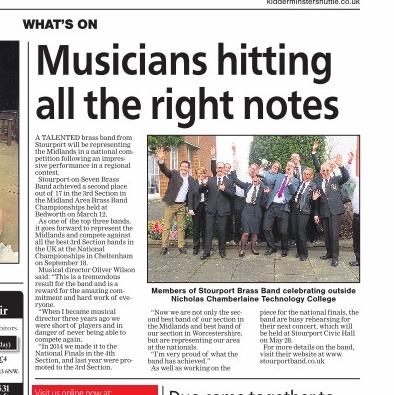 The band rehearses on Tuesday evenings from 7:45pm at the Stourport Sports Club so why not come along! *Because of contest rules, the number of players is limited when competing? and in this situation the Musical Director will decide who will play at the contest. 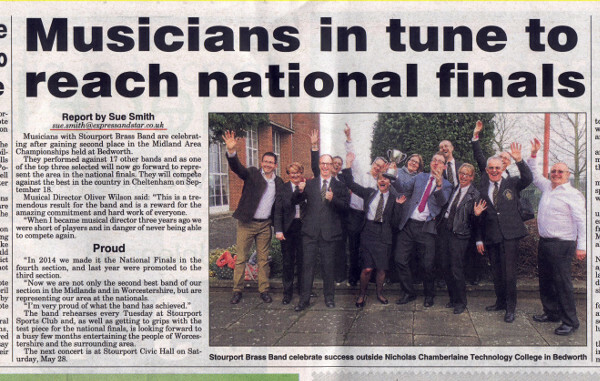 Rob Chell is in the process of arranging a reunion of the Stourport Secondary School Brass Band from 1962-69. If any body would like further details see www.ssbb6269.org.uk.? 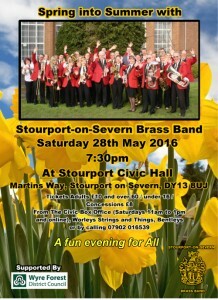 From the School band came the youth band in 1969 from that came Stourport on Severn Brass Band of today. Dennis Taylor who created the school band now lives in Sunderland and was 90 last Sept. He is intending to join us for the reunion on Saturday 23rd April 2016.